The curriculum consists of two integrated parts. The first is the state curriculum “New Ukrainian School”, (NUS) and the second is an international curriculum on the primary school subjects. In order to ensure successful implementation of the curriculum and empower your children to achieve incredible results, we have investigated a number of practices of world scholars and teachers. The teacher builds the knowledge core, the thirst for the discovery of something new and the values for the rest of our lives. Enthusiastic and excited about their work, our teachers are an absolute priority of WORLD SCHOOL. WORLD SCHOOL atmosphere is built on trust, mutual respect, openness, and responsibility. Personalities of both our teachers and our students are the most valuable for our school. Learning process means studying, but not teaching. This is a voluntary process, built on the motivation and active participation of both sides: students and teachers. A WORLD SCHOOL student is not a passive listener of lectures, but he/she is instead an active and equal participant in the accumulation and systematization of knowledge, skills, and beliefs. Learning is a dynamic process in which the teacher accompanies, observes, helps and … also develops him/herself. 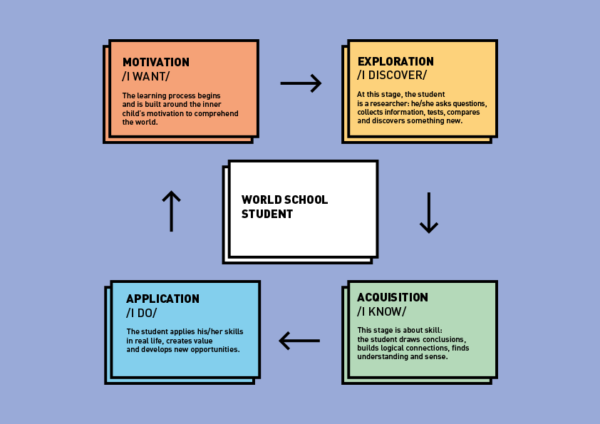 How is the concept of study at WORLD SCHOOL realized in practice? We use the most up-to-date international techniques, additional textbooks and materials so that each of our students achieve his/her educational goals. Preparation of students for transition to international classes, where the teaching of most subjects will be conducted in English. The primary goal of such classes is fluent communication in English without interpreting or translation. Graduates of such English-language classes will then have an opportunity to enter the best international universities in the future. Mathematics is not merely a set of formulas that needs to be studied. It is a language of thinking, a connection between neurons of the brain, which is built in childhood and becomes the core for the rest of our lives.The mathematical mind can be taught and trained in the same way as the body is in sport. 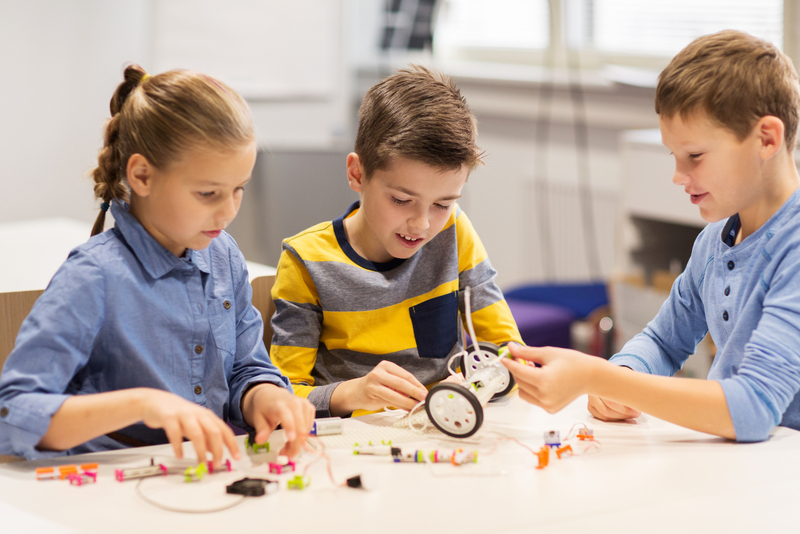 We use the most effective techniques and structural training to maximize the development of brain muscles of each of our students. There are no more than 15 students in each class. 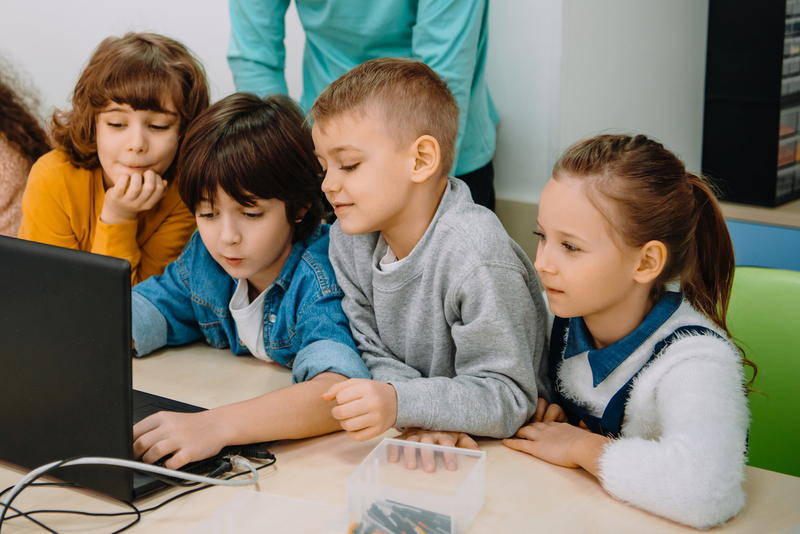 Each and every student works with a mentor or a tutor who takes into account their interests, their abilities, and their pace in the learning process and helps them to progress. Basic knowledge requires its integral application in real life. During the study process, each topic is taught and learned from the point of view of different subjects and is implemented practically. independent actions and belief in our own strengths. The teachers’ behavior is passed onto our students through the assimilation of values and customs that exist in our school environment. Consequently, the teachers’ personality is absolutely vital. Ukrainian and international certified school curricula relevant to the students’ age. fire and sanitary safety systems. The priority of the WORLD SCHOOL is to create a strong, motivated environment and a circle of like-minded people sharing similar values. Those who have already succeeded in life are direct examples for our children, and they set the stage for their progress. Our teachers and invited specialists are professionals of the highest standards and values of WORLD SCHOOL.